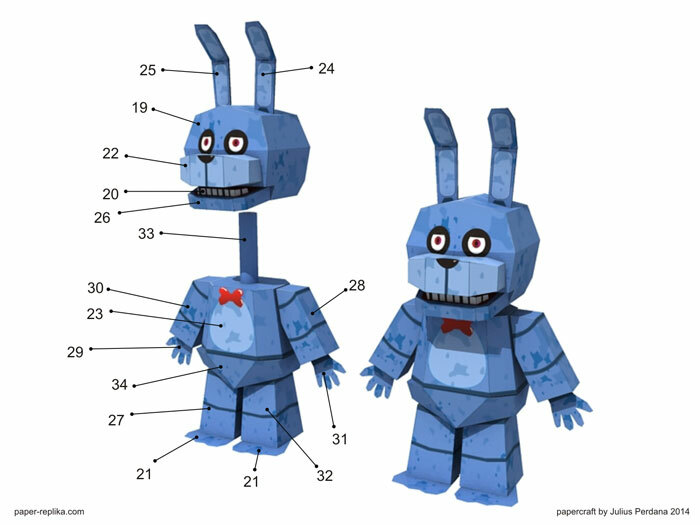 Five Nights At Freddy's Paper Craft	. The first time I saw the cover of this game, it did not seem spooky. But after I watched on youtube and try to play it, then I believed that this game is categorized as the scariest game in this year. Especially if you play it on android, since the swipe control is on the opposite direction. I only tried once, just on the first night and have not had the courage to play again. 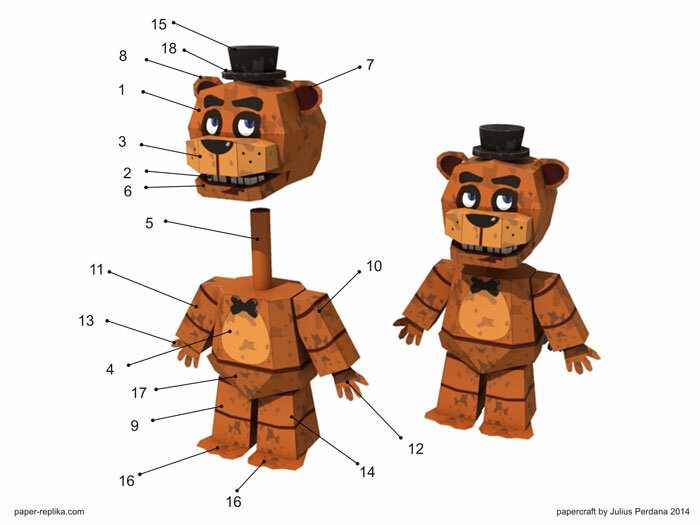 In this game we play as a night watchman in a restaurant Pizza (Freddy Fazbear Pizza). 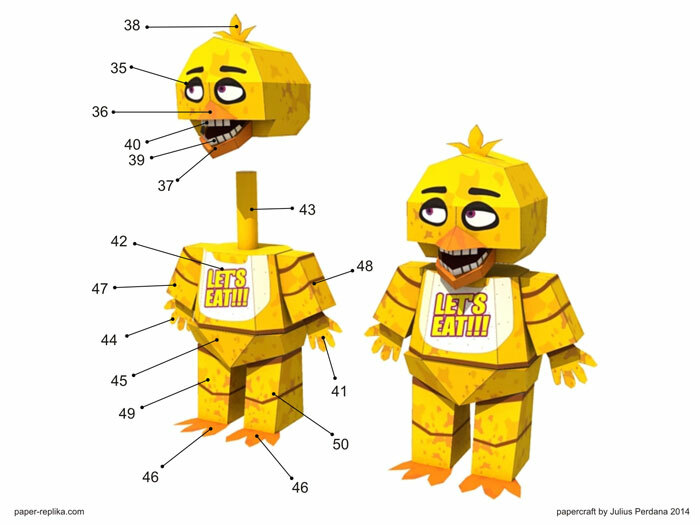 We must passed 5 nights in order to complete this game. Every night we would be disturbed by the haunted animatronic, we must defend ourselves by closing the guard room door. 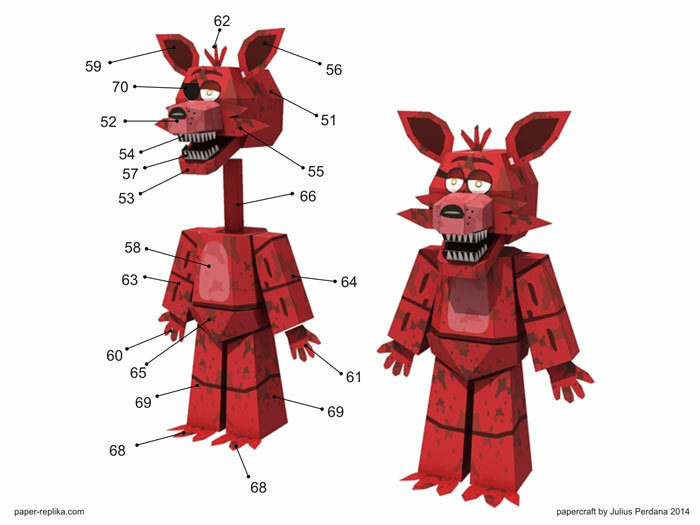 These papercraft template are my own version, the original version are more spooky, because their body are not short like I made. 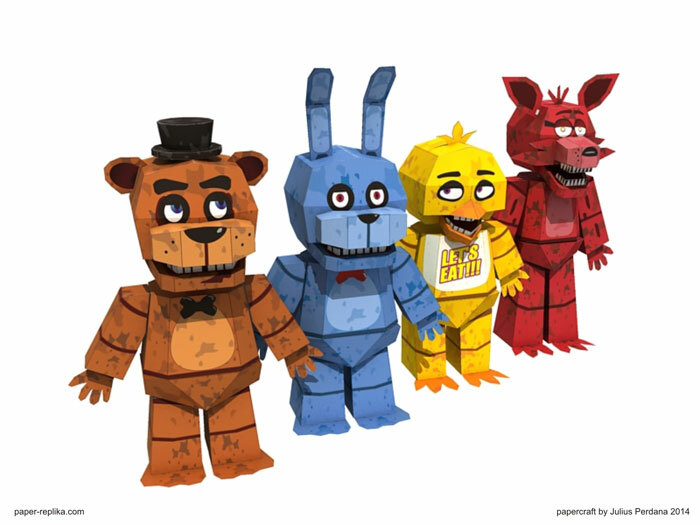 They are Freddy Fazbear, Bonnie The Bunny, Cicha The Chicken, The Pirate Fox and Foxy. Every character fit in 2 pages of templates.